William J. “Bill” Brown of Allegan (formerly of Kalamazoo) died peacefully Monday, July 30, 2012, in Kalamazoo, surrounded by family. 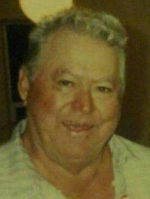 Mr. Brown was born December 26, 1922 to Howard and Louise (Noteboom) Brown and was a lifelong resident of the area. Bill, who was married to Gladys Ball for 64 years, was a farmer, operating his own farm, and also ran Brown’s Farm Equipment with Gladys from the late 50s to early 70s. In his leisure time he enjoyed golfing, fishing, hunting trips out west, bowling and dancing, especially to polkas. He also enjoyed his dog, Sparky. His family was very important to him and he most enjoyed spending time with his children and grandchildren. He was a generous man. Preceding him in death were his wife, Gladys in 2010; a son, Don Brown; a granddaughter, Michelle Brown; two grandsons, Scott Brown and Doug Brown; a brother and a sister, Howard Brown and Mildred McGuire. Surviving are two sons and two daughters, Gary (Deidre) Brown of Kalamazoo, Dolores ‘Laurie’ (Robert) Augustine of Otsego, Beverly ‘Bev’ (Ken) Jacobs of Parchment and Carl Brown of South Carolina; 11 grandchildren and 22 great-grandchildren; a brother, Harry Brown of Hopkins; and a sister, Eleanor Priest, of Hopkins; several nieces and nephews. Friends may meet with his family from 2 to 4 and 6 to 8 P.M. Wednesday at the Winkel Funeral Home, Otsego. Mass of Christian Burial will be held at 11:00 A.M. Thursday at St. Margaret Catholic Church, Otsego, Fr. Gordon Greene celebrant. Burial will follow at St. Margaret Cemetery. Contributions in memory of Bill may be made to the Alzheimer’s Association.